In this most difficult harvest year, the awards have commenced. It seems that the producers have self-selected and self-nominated with great restraint. Those who were confident of their olive oils submitted them to the major competitions. At Trieste, the number of submissions was down and quality was awarded. 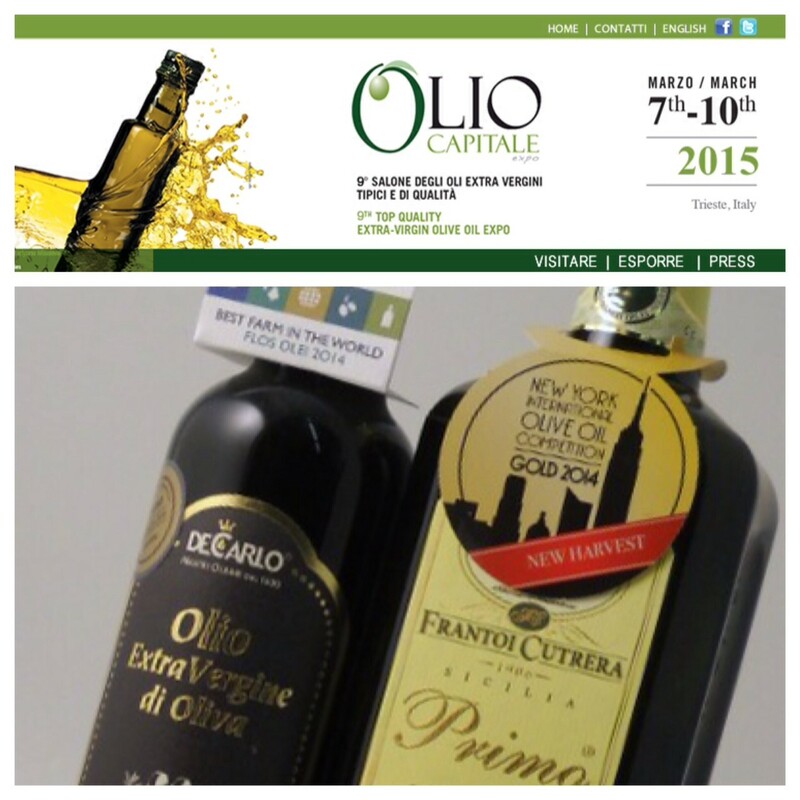 Let’s take a look at the notable awards from Olio Capitale, March 7-10, 2015 in Trieste. (Awards List Here). 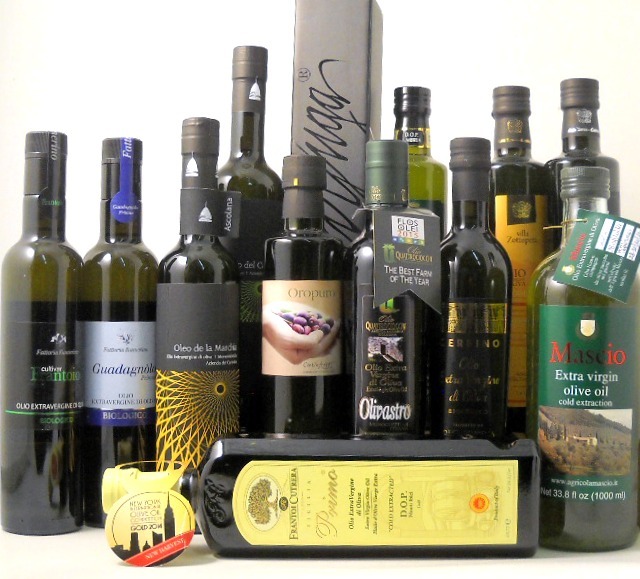 We’re highlighting the award winners (all 2014 harvest) available through Olio2go.com. Società Agricola Fonte di Foiano S.S. Grand Cru 2014 Toscana– coming soon! Azienda Agricola De Carlo Torre di Mossa 2014 Puglia – in stock! Frantoi Cutrera Primo 2014 – D.O.P. Monti Iblei – Sicilia – in stock! Tenute Librandi Monocultivar Nocellara del Belice Biologico – Vaccarizzo Albanese CS – 2014 coming soon! As the world knows, the Eastern Seaboard of the U.S. was hit by a destructive storm named Sandy during the last days of October. It was a significant concern for us, first for our own office, store, and warehouse, and also for our colleagues who have warehouses in the path of destruction in New Jersey. The storm caused tidal waves of concern for importers. Fantastic holiday goodies, such as panettone, were just reaching our shores. At Olio2go, we had an import of Novello crossing the ocean, destined for the then-closed Port of New York and New Jersey. While the situation is abating, we are currently awaiting the customs clearance of our weather-delayed new olive oils so that we can deliver this Novello extra virgin olive oil to your doorsteps and holiday tables. And, this week, as many businesses were getting back to normal, we were informed of a very destructive storm in Europe. 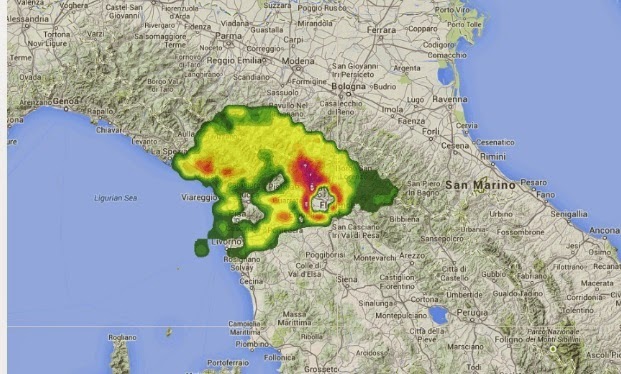 A very high Aqua Alta imposed itself on Venice, while the stors lashed through Tuscany leaving four dead in its wake. 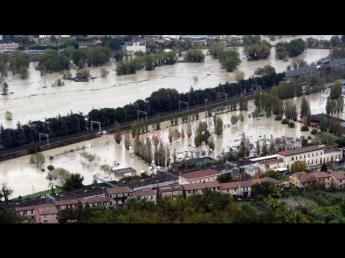 Our producers in Tuscany have found it difficult to harvest and mill this week. And quick decisions have been made regarding the timing of the next import. This article from the UK’s Daily Mail Online includes several photos of the destruction, all the way to Rome! We continue on our mission to bring you the best in Italian olive oil, but wanted to share with you how weather events, both here and there, impact both the production and importing of these fantastic artisanal extra virgin olive oils. Photo Source: Gazzetta del Sud Online. Accompanying story can be read here. The olive harvest is underway and visits were made to Planeta, Ravida and Gianfranco Becchina’s estate this week. The Becchina estate in Castelvetrano is the home of Olio Verde and Olio Verde al Limone. The Planeta estate is in Menfi, as is the Ravida estate. 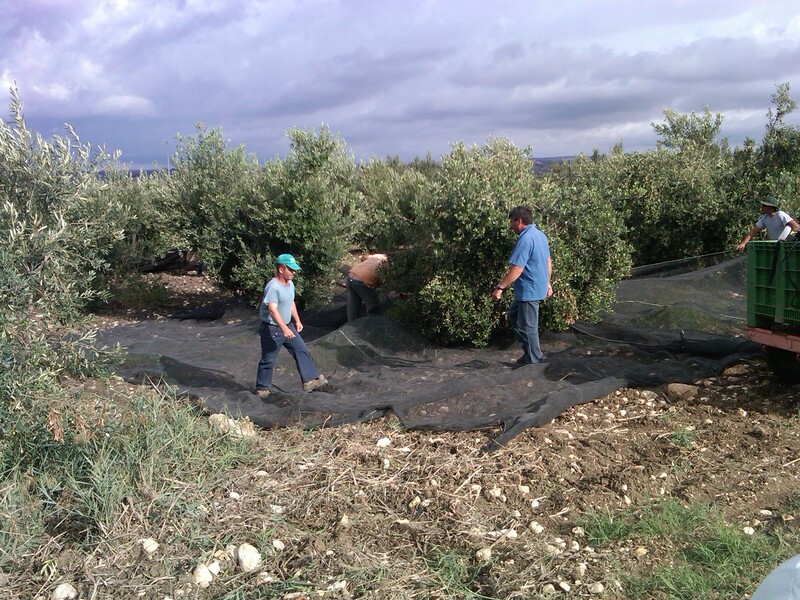 Take a look at this photo of the workers picking the olives at Planeta’s grove, a tradition that dates back centuries. 1. Order a Tuscan extra virgin olive oil from Olio2go. This week, we’re recommending Pace da Poggio Etrusco from the estate of Pamela Sheldon Johns. We found this post on making olive oil (Pace da Poggio Etrusco!) on one of our favorite blogs, Elizabeth Minchillini in Rome. Take a look at this fabulous verdant green oil. This is the oil in the stainless steel tin available at Olio2go. (Recently when I didn’t have any Sicilian oil at home, I used Pace da Poggio Etrusco for the Lemon, Olive Oil and Almond Biscotti with great results! 2. 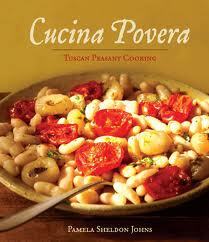 For added inspiration, add a cookbook, such as Pamela’s newest tome: Cucina Povera. 3. Add 50 Great Pasta Sauces and 50 Great Appetizers to your cart. Check out. (If you buy all four items, we’ll mark your order for free shipping. Use our web form to send a note and we will adjust the pricing before shipping your order. Quantites are limited. Orders must be placed by April 25th at midnight). 4. Recieve your order, cook a meal, and fall in love. 5. Plan a visit to Pamela’s estate in Tuscany and take one of her tours or workshops! Pamela Sheldon Johns is a noted cookbook author and we are thrilled to carry the oil from her Tuscan estate, Pace da Poggio Etrusco. Monday was a day filled with excitement as the first 2011 harvest olive oils reached our warehouse. First to arrive? Olio Verde Novello, Capezzana Olio Nuovo, and Frescobaldi Laudemio First Pressing. We exhaustedly share your excitement as hundreds of bottles are already on their way to our favorite customers. Stay tuned for more reports on the new arrivals! P.S. We are taking pre-orders for Las Poderina Toscana (remember the Washington Post article? ), Cutrera’s Primo from Sicily, and San Macario from Lucca. 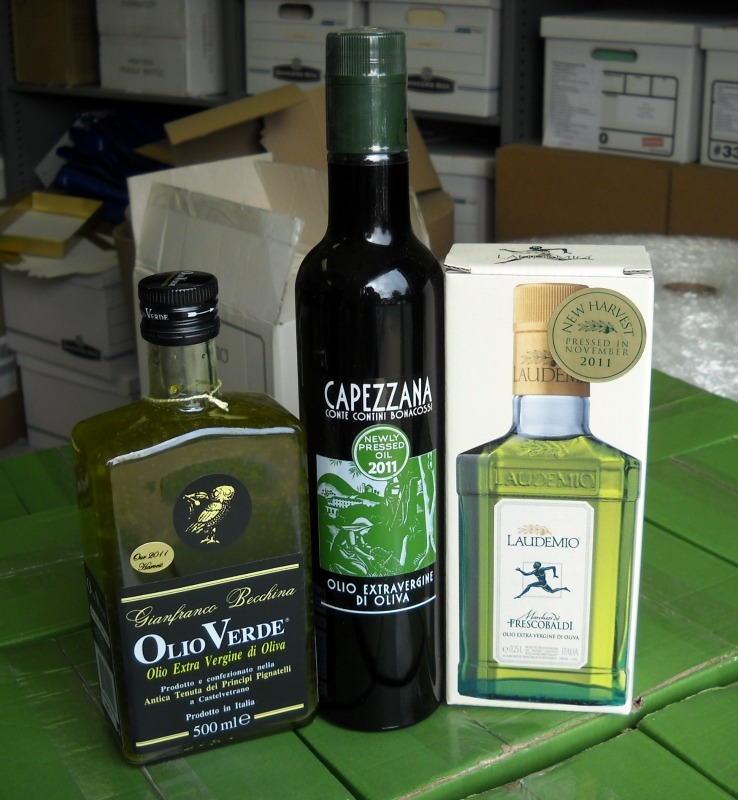 The tractor trailer arrived today with Olio2go‘s inbound shipment of Olio Verde Novello and Capezzana Olio Nuovo. It was a bit exciting as there was not a perfect fit between the loading dock and the truck. That’s about all I want to say on that topic. Not a single bottle broke, but I had thoughts of a calamity. Now, they are flying out the door. They come packed with flavor. I loved Lauren’s comment that the flavor seemed even better the second time she opened the bottle, a couple of days after the first. Something about the flavors seemed to develop for her. Notably, Tenuta di Capezzana has a new label, which we’ll have to capture soon for the web site. Celebrate the holidays with olive oil!